Weight of the Evidence: I'll Be Back Soon! 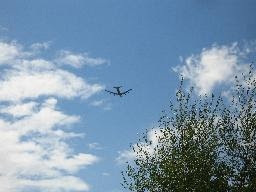 If I'm not mistaken, the jet plane in your picture is a B-52 bomber (4 engine pods on the wings). Sorry to blow your cover and I hope your military mission goes well. FYI...Air Force rations are NOT low carb! Everyone's on vacation. Lucky! I'm a new reader so at least I can catch up with your blog while you're away.